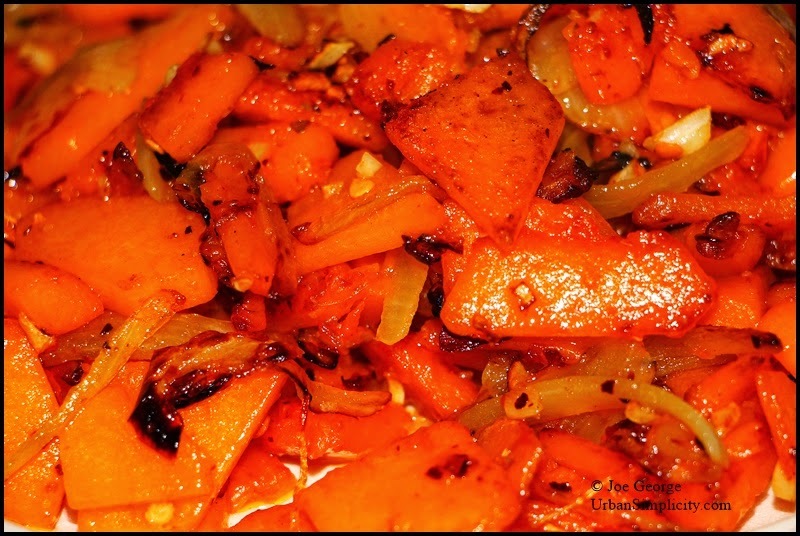 Urban Simplicity: Caramelized Butternut Squash and Onion with Garlic, Hot Pepper, and Lemon! Caramelized Butternut Squash and Onion with Garlic, Hot Pepper, and Lemon! 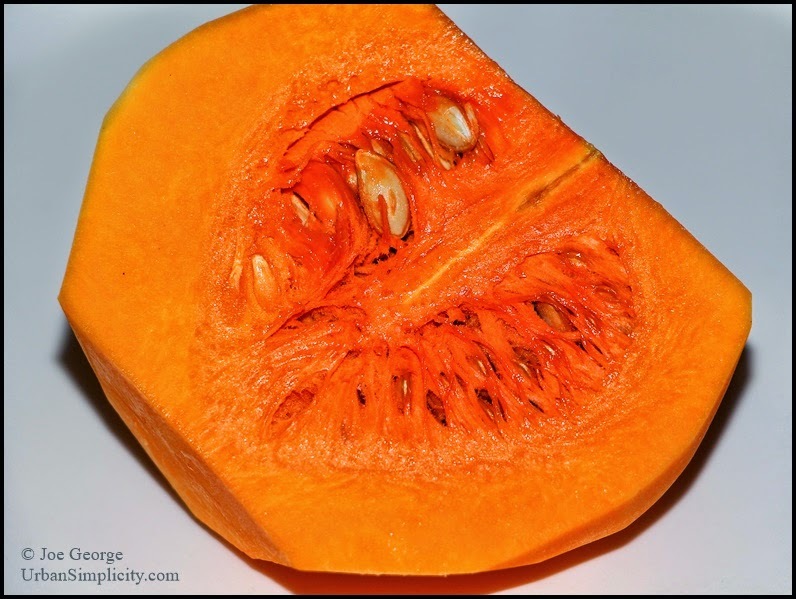 This simple and really delicious and healthy squash recipe is really a variation on "all things aglio e olio." I had this for dinner this evening as as side to moudardara. Often when I cook squash or potatoes like this I add a few cumin and coriander seeds along with the hot pepper to give it a Near East flavor (but had neither in the house this evening). Nonetheless, this is really easy and delicious, and it can be made using many other hard winter vegetables. Heat the olive oil over medium-high heat in a skillet that is large enough to hold the sliced squash in a single layer. When the oil is hot add the squash and saute it for a few minutes. Then add the onion and saute a few more minutes. 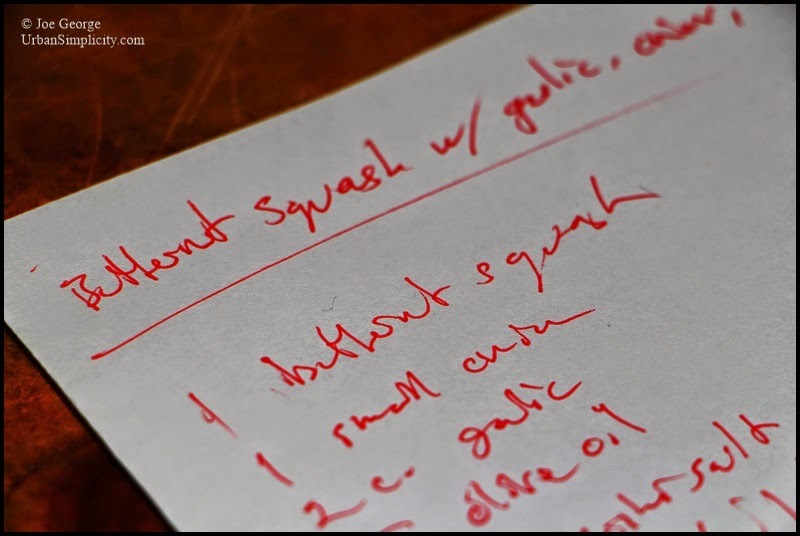 When the squash and onion just begin to brown add the garlic, hot pepper, and salt; saute another minute or two. Stir in the lemon and remove from the heat.